Local Trade!! 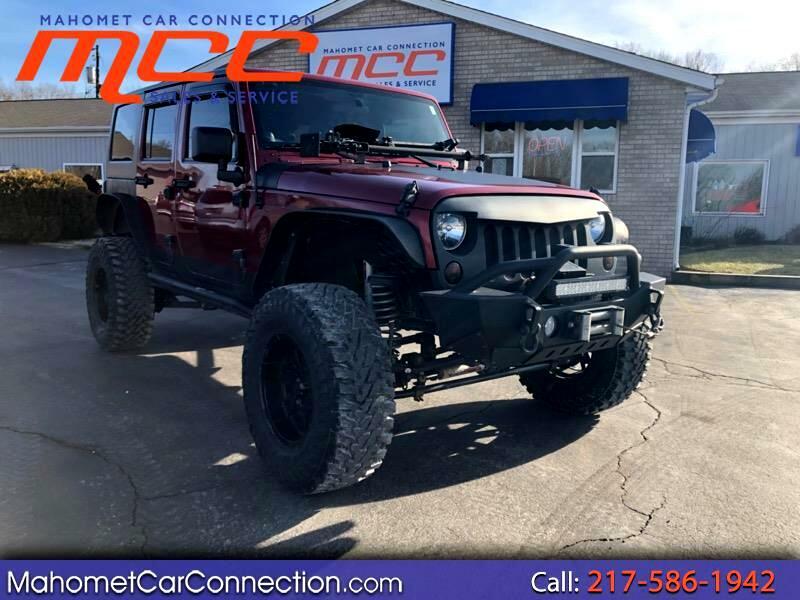 Lifted 2012 Jeep Wrangler Sahara with 73k miles!! Come take a look at this beauty!! Upgraded to the max!! Equipped with the 3.6L V6 engine and a 4wd powertrain. Upgrades include brand new 35 inch Yokohama Geolander tires wrapped in 17 inch M/T rims, 6 inch rough country suspension lift, quick disconnect sway bar links, dual stabilizers, aftermarket front bumper with winch and LED light bar, Hi jack lift mounted on hood, angry grille, after market rear bumper with rear spare delete, metal fender flares, and a super chip installed. Come take this one for a spin here at MCC!! !